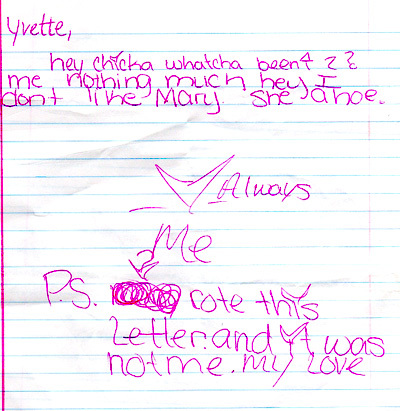 Today, I discovered a note that was meant for some girl named Yvette in my bottom desk drawer. I estimate that I originally found it 6 to 8 years ago at my old high school. The note’s author cleverly censored her own name in case it fell into the wrong hands.